Katia Popov passed away on May 18, 2018 from a three-year battle with Ovarian Cancer and left an empty void where she carved her mark. Her determination to beat the disease mirrored her determination to become the best violinist in the world. Although she is no longer physically with us, her music has created a ripple effect that will never leave the musical community or her biggest fans, friends and family. Katia’s devotion to the violin and her love for music was apparent and contagious. She did not shy away from the stage and performing was her natural calling. Learning how to read notes before she could read the alphabet, music was in Katia’s heart and soul. She did not just play music, she played music through her entire being to deliver an experience so ethereal, audiences would be instantly captivated. Not only did her talent leave a lasting impression on anyone lucky enough to watch her perform, but also her personality lit up a room and made people feel warm and welcome in her presence. Her talent was in evidence throughout her tenure as concertmaster of the Hollywood Bowl Orchestra and California Philharmonic. In addition to her accomplishments as a virtuoso violinist, she had an extensive background as a studio and symphonic musician. Her grace, dignity and beauty made her always look as though she had just walked off the cover of Vogue Magazine and onto the concert stage! She was warm, personable and sincere with everyone. She was passionate and driven about everything she put her mind to, and possessed the most infectious laugh in the world. 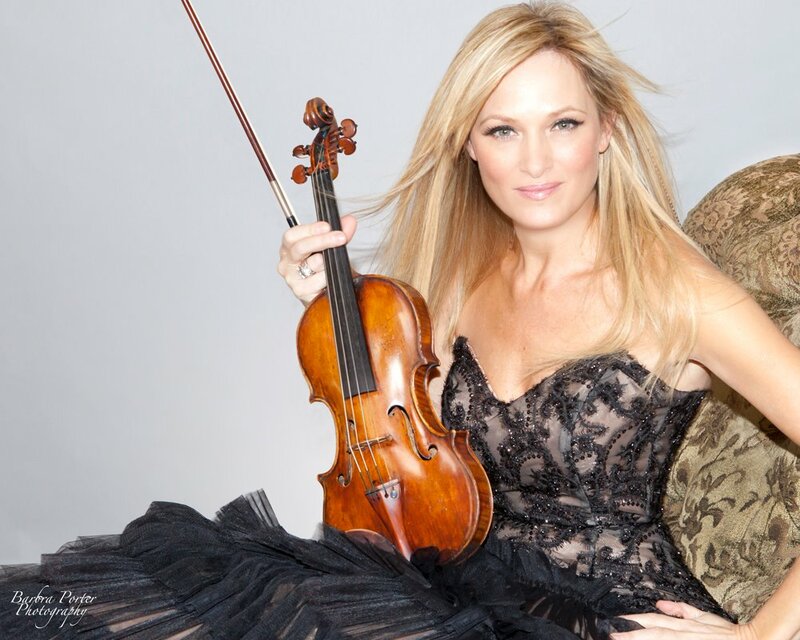 Katia’s work as a violinist for the Los Angeles Chamber Orchestra was part of what brought her to the City of Angels. Born in Sofia, Bulgaria she studied at the Paris Conservatory and then trained under Iona Brown, former concertmaster of the LA Chamber Orchestra. She was the first to receive a Doctorate from UCLA in violin performance, studying with Alexander Treger, former concertmaster of the LA Philharmonic. In addition to the ensembles mentioned above, Katia was the Principal II Violin of the Long Beach Symphony, founder and first violinist of the award winning California String Quartet and Music Director of the Musical Sunday Afternoons, a popular chamber music concert series in Los Angeles. Her love for music began at an early age. Her father was principal oboe player for the Sofia Radio Orchestra and he often brought three year old Katia to rehearsals, where she loved looking at the violins. She begged her parents to buy her a violin and proved her devotion by picking up sticks and pantomiming practicing the instrument. Her parents bought her first violin and at age 4, and she was on her way! In addition to breaking the glass ceiling by being the first female concertmaster of the Hollywood Bowl Orchestra, she was engaged as a soloist with the Sofia Philharmonic, European Symphony Orchestra, Sofia Chamber Orchestra, Redlands Symphony, Santa Barbara Symphony, Long Beach Symphony and Santa Monica Symphony, among others. As Katia’s father’s career influenced her, so has her career influenced her own daughter, Irina, who grew up watching her mother play for the movies shown at the Hollywood Bowl, and now works as a producer in the film industry. Her 11-year-old son, Alexander, is also already making movies of his own! Katia played on over 800 film scores and numerous recordings. As if her schedule wasn’t full enough, Katia also designed and made beautiful jewelry, which she sold on her website. With her husband Peter, an attorney, the family loved sports; skiing, biking and being in nature. She also loved yoga and was devoted to her darling Yorkie, Zip. Her diverse and eclectic abilities were part of what made her such an amazing woman. She will be loved, cherished and missed forever by her family, friends and colleagues. This entry was posted in Final Notes / In Memoriam and tagged Final Notes, Katia Popov on June 15, 2018 by admin.